This 3x20" flag is designed to meet the abrasion resistance, weatherability, and self extinguishing/flame retardant requirements of wide body and other long range business jet OEM customers. 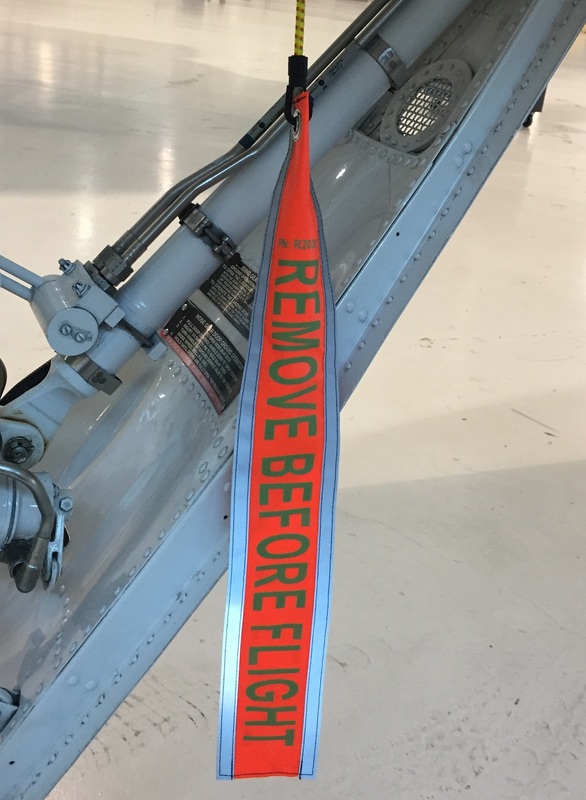 The materials and construction meet NAS-1756 / NAS-1091 technical specifications for remove before flight flags. The color specifications, for obvious reasons do not meet the standard. If you're looking for a very durable gear pin flag that's designed for the abuse of quick turns and tight stowage, this is the right product. Also available in 4x32"